Hi Listen Girlfriends – Thanks so much for sharing your post on Mama Africa and how their good work is being undermined by cast-off Goodwill clothes flooding the Congo market. 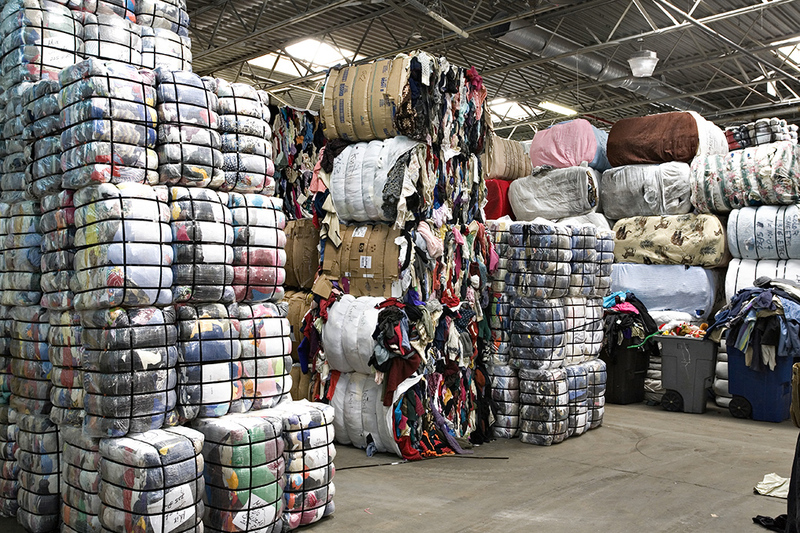 It shows that even though taking clothes to Africa is a form of recycling, it can still be damaging, and that reducing consumption and caring for our clothes for the long haul is the best option. Agreed! Wonder what you think of the H&M recycling initiative where they offer a 15% discount to dump off your old clothes? Hmmmmm. If H & M customers would otherwise toss their used clothes in the garbage, then I suppose it’s helpful, but I don’t know if that’s what H & M customers would otherwise do if they weren’t offered a discount as an incentive for recycling. My initial response is I wish H & M sought to make the highest quality clothes they can and that they were made to be mixed and matched over the years to achieve longer wear and versatility. I read on Ecouterre that H & M is trying to be more transparent about their sustainability efforts but I haven’t yet sat down to look through their report. Thanks for this post and comment conversation. I have never thought about the specifics of the rag-grading industry before. And I have never considered that there might be a further use for an intact but stained Tshirt, for example — other than being used for cleaning at home. If one drops off intact but stained clothing at a Goodwill/Salvation Army type store, does their staff put it into a pile to be sent to rag-graders (along with their unsold merchandise)? I would like to unequivocally say that yes, if you drop off a stained shirt at Goodwill that it will go to the rag grader, but I have a feeling that this is a “your mileage may vary” type of thing. What I mean by that is you would need to ask donations at your local Goodwill to know for sure. I do know that charity shops prefer not to receive stained or unwearable items if they can’t be resold since that’s the main way they raise funds. Where I live (St. Paul, Minnesota) there’s weekly recycling pick-up and they do take cloth, so that is where I put the stained items that Goodwill can’t resell. I’m almost certain that the recycling facility is moving the items onto a rag grader, and that they will probably become paper (if they’re cotton) or insulation. So if you have recycling services in your area, look up their website – they may say what to do with unwanted clothes.